Now that the death count has passed 200, Vaden is handing out free leeches to all students. Make sure to practice regular bloodletting to avoid contracting the plague. If your roommate has the plague, do them a favor and get them some leeches too. 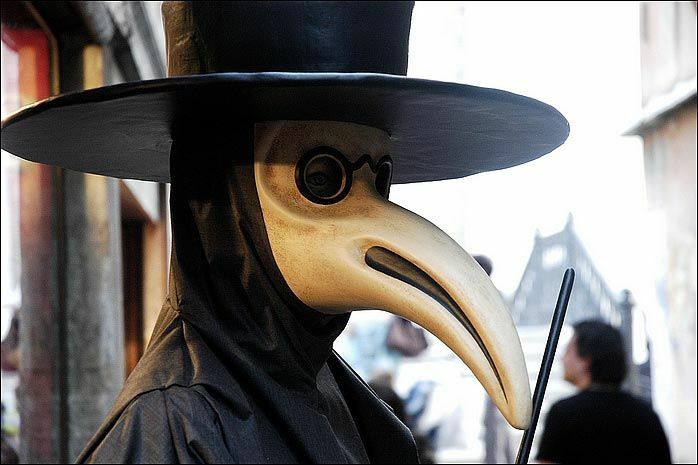 If you happen to be a nobleman or a doctor, you may have access to a bird mask. Just place some lavender or ambergris in the nose of the mask, put it on, and you’re good to go! No bad air will be infecting you, fine sir! The serfs, due to their lives in dirty squalor, are breeding ground for plague. Do your best to avoid them – as a nobleman, you already should be doing this. Bring out your dead! While the Stanford Medical School has no idea why, those living in close quarters with the corpses of plague victims seem to get the plague as well. The administration asks that you bring the corpses of your roommates to the main quad by Friday, when they will be burned by a Christian minister, so that all of their souls don’t eternally suffer in Hell. If you have the plague, the imbalance of your humors may manifest itself in large pus-filed sores called buboes. Make sure to lance them on a regular basis. Remember to use only the freshest swine tallow in curing your soap.